It’s time for some spring cleaning and organizing! Let’s do this. It’s been a little while, hasn’t it? I like to disappear every so often, so I can make a grand re-entrance! It makes things much more exciting. Life got unexpectedly hectic the last several weeks and I promise to spill all of the details very soon. In the meantime, let’s talk about spring! It’s officially spring, regardless of what the weather is like outside right now. And what usually pairs well with this season (besides tasty seasonal fruits and veggies, obviously)? Cleaning and organizing! Huzzah! Because of the craziness that was my life over the last couple of months, I became slightly irresponsible with keeping things, um, tidy. I may or may not have a basket of clean laundry that has been sitting there, unfolded, for days. Oops. Something else at OMGfood headquarters that has become a bit unruly: the pantry. At some point in the last several weeks, Jason and I both got lazy about how and where we stored the goods. 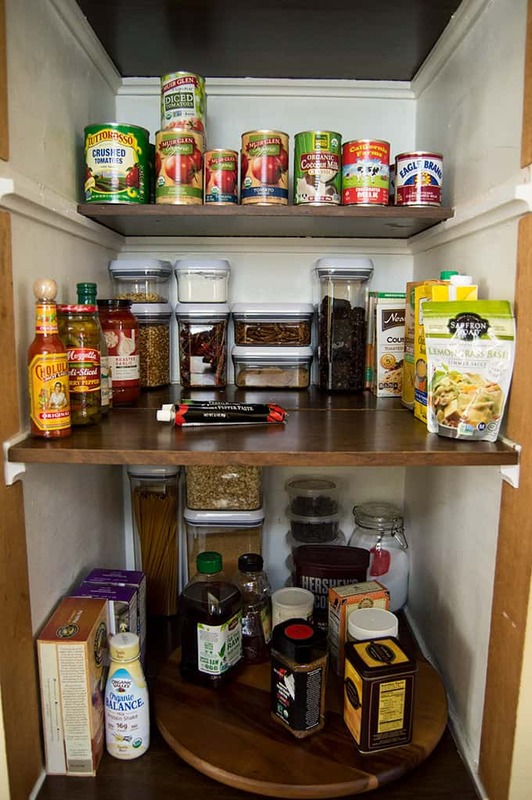 We have a relatively small kitchen and pantry, with only so much room to store canned and dry goods. It got to the point where I was forgetting just what we had because food was hiding behind other food! No good, friends. No good. We decided enough was enough and attacked the pantry. We also gave the kitchen a good cleaning, because whoa, did that room need it. With the help of some products from OXO, we made things tidy again. And life was good. I documented the experience with many photos below. Hilarity will ensue!